In a season that was overshadowed by major trades and nearly one hundred losses (tied for worst record in MLB), there were a few bright spots for the Detroit Tigers. The performance at the plate from Nick Castellanos is near the top of that list. In his fourth full season with the club, the 25 year old put up 26 HRs, 101 RBIs (tied for 18th) and batted .272/.320/.490, in 614 at-bats (12th in MLB). Castellanos led the Tigers in most statistical categories, including 36 Doubles and 10 Triples (3rd in MLB). Most of this production took place after a very slow start in April and May, but as the season progressed, his bat got hotter, knocking in 25 of his 101 RBIs in the month of September. All this was in the midst of losing his role as the starting Third Baseman, making room for Jeimer Candelario who came over in the Justin Wilson / Alex Avila trade with the Cubs. Castellanos spent most of September starting in Right Field, where he’s working to gain his footing. As speculation will continue throughout the off-season about what the Tigers 2018 starting lineup will look like, it is fair to say Nick Castellanos has carved out his spot near the top of the order. There’s genuine concern for the future in Detroit, but Tigers fans will need to be patient in the next couple seasons to see how this team progresses and which players stand out. 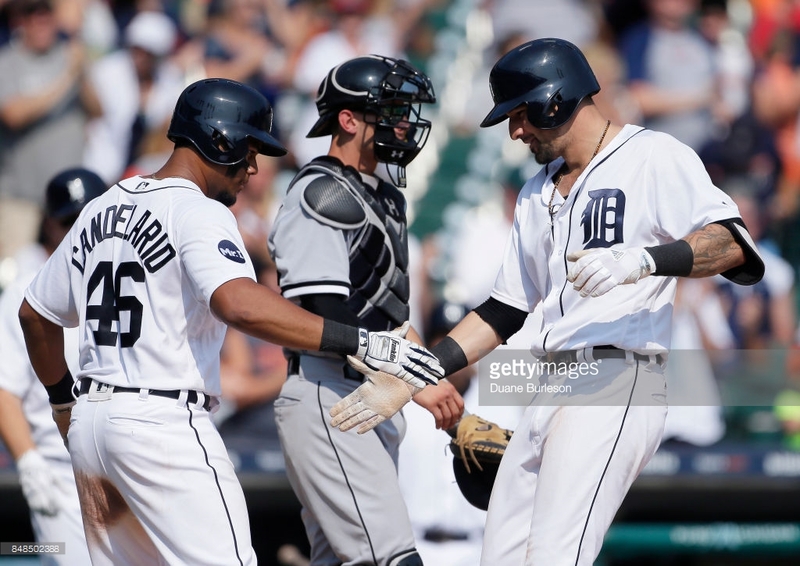 With the departure of JD Martinez and Justin Upton, the questionable future of Victor Martinez and Ian Kinsler, along with concern over the health of Miguel Cabrera, Castellanos has the opportunity to emerge as a real leader and offensive star. Let’s hope that this season is an indication of what’s to come.